Multiple Document Discounts: Prices of £159.00, £149.00, £139.00 and £129.00 are available when you order 1, 2, 5 and 10 items or more of this service. Degree certificates and other educational documents require a specific process for legalisation. You must pass the document(s) to the Saudi Arabian Cultural Bureau in London (SACB) BEFORE they can be sent to the FCO to be apostilled. They can then be readied for submission to the Saudi Arabian Embassy in London. The Cultural Bureau will attempt to make contact with the issuer of your educational document to validate it's authenticity. 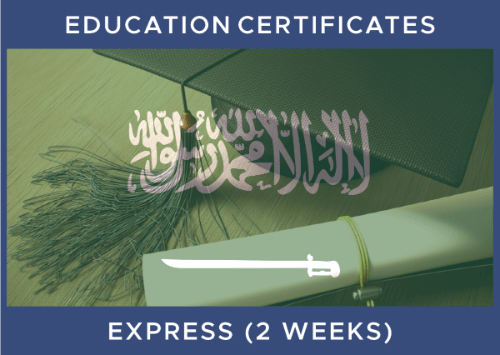 Vital Legalisation can send your documents to the FCO and to the Saudi Embassy, but you must submit your document to the SACB yourself before bringing it to us.